It is really hard to write about abuse authentically. If you haven’t experienced it, it is hard to put yourself in the victim’s shoes. If you have lived it, then it is equally hard to distance yourself from it and write from a perspective that isn’t so horribly devastating. Michele Bacon has done a phenomenal job in her portrayal of Alexander Fife and his physically abusive father in Life Before. Xander is almost there. He is graduating from high school and has a full-ride scholarship to college. Once he gets there he can live a life that doesn’t fall under the shadow of his violent father. But on the night of his graduation ceremony a tragedy occurs that destroys his world and leaves him in danger for his life. In order to spare those he loves the worst of the peril, Xander takes off. He reasons everyone will be safer with him gone and all he has to do is kill time until college starts. But life on the run is neither glamorous nor fun and Xander finds himself in Burlington, Vermont with no money, no friends, and no place to stay. Bacon tells Xander’s story with the perfect balance of realistic danger, sorrow, fear and hope. It does not fall into a maudlin place because even though Xander finds himself at probably the lowest point of his young life, he is not completely bereft of hope, nor damaged beyond repair. He makes friends in Burlington, finds a job, and even meets a girl. But will he ever stop running from his past or go home again? 1. What was the original seed idea for your book? Did it start with a character, a situation, or an idea? The seed for this book was my greatest childhood fear. I grew up in a violent household, and for much of my childhood I was terrified that my father would kill my mother. While Xander’s story is fiction, it’s based on that fearful what if of my childhood. 2. What is your writing process? Are you an outliner or a pantser? Today, I am a devoted plotter, but I wrote Life Before without plotting it first. I often wonder how it would have been different had I plotted it before writing. 3. Who are the writers which most influence your writing style? On pacing: In Janet McNally’s debut, The Girls in the Moon, I loved her transition between chapter 1, when her best friend arrives on the doorstep, and chapter 2, when we learn about that friendship. My curiosity forced me to turn the page. On storytelling: Alison Bechdel’s first mention of 17-year cicadas in Fun Home seems interesting but immaterial, but she later uses the insects as a metaphor. I appreciated that echo, and how it changed my reading experience. On point-of-view: Emma Straub’s The Vacationers is in and out of characters’ heads, moving the camera around to tell the whole story. I always write first person or third person close, but this book changed my mind about omniscience. 4. Do you listen to music when you write? I have three small children, so I savor the quiet of my empty house. When I am experiencing stress or time constraints, I use solo cello music to help calm me and keep me focused. I’m poring over Atlas Obscura, which will inform my travel plans for years to come. I’ve just started The Portable Veblen, by Elizabeth McKenzie. I received it in the reddit books exchange, and it’s quite promising. 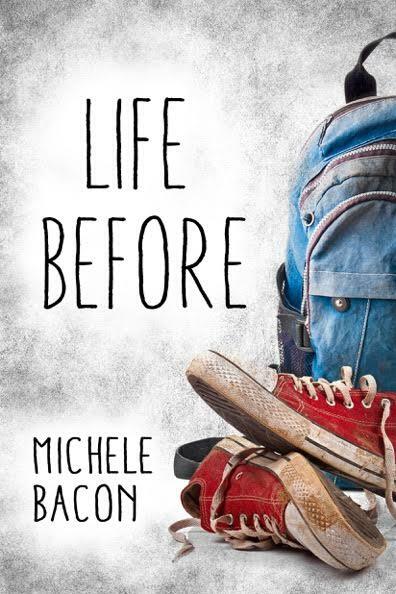 Michele Bacon writes novel-length fiction for adults and young adults. An avid traveler, Michele has visited all 50 states and few dozen countries. She lived in many cities throughout the United States, and spent 14 months living in Christchurch, New Zealand before settling Seattle with her husband and three young daughters. 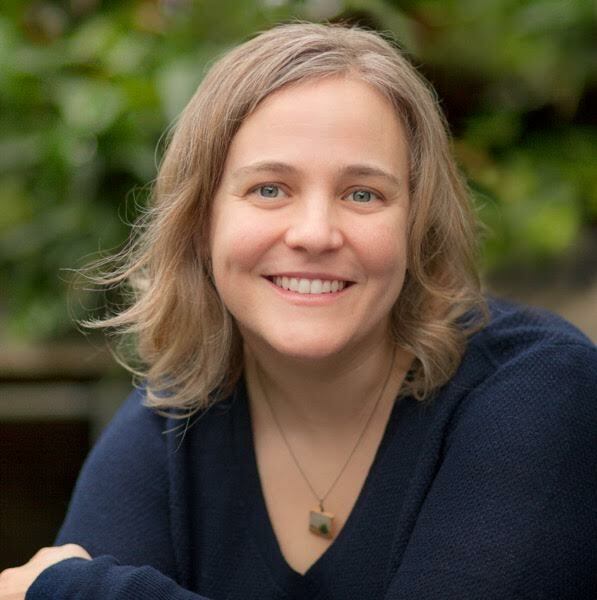 Michele’s second novel, Antipodes, a coming-of-age novel about an ambitious teen forced into a foreign exchange program, will publish early in 2018. I don’t, as a rule, cry at books. But this one did get me, I confess. It’s a wonderful read that ultimately gives you hope that Xander will not just survive, but thrive. This seems to be a compelling book.